In his 10th and final year on the Baseball Writers Association’s ballot for the Hall of Fame, it appears that beloved Seattle Mariners DH, Edgar Martinez, will finally get inducted into Cooperstown. With the latest update to an online tracker of casted votes, Martinez appeared on 90.8 percent of ballots. That total accounts for 44.7 percent of known ballots cast and currently projects a total around 78 percent when all ballots are counted. A candidate for the HOF needs 75 percent for induction and Martinez got to 70.4 percent last year, on a trajectory that has been climbing in recent years. Most baseball analysts have assumed Martinez would get in this year, given the momentum for his candidacy. But the fact that 2019 will be the 10th time his name has been on the ballot is a bit nerve wracking for Mariners fans and, frankly, fans of the excellence of the type of hitting Martinez exhibited during his career. It can be argued that it is the influx of more sabermetrically inclined writers in the voting pool that has pushed Martinez’s case to the finish line. The traditional statistics of hits and home runs didn’t seem to add up to a HOFer for many of the older voters, despite an impressive career slash line of .312/.418/.515. With “only” 309 HR and 2,247 hits, Martinez “failed” to reach the milestones that made one an automatic HOFer in the old guard’s eyes. Also, the fact that Martinez played most of his career at DH and not in the field diminished his candidacy for many. But, the recency bias of watching David Ortiz mash on HD TVs in the postseason has made consideration of a DH only player for the Hall more palatable. Ironically, if you compare Martinez to other historical third baseman—the position he played early in his career—he stacks up favorably to others who already dwell in the Hall. According to JAWS, a metric devised by Jay Jaffe at Baseball Reference that weights career WAR with the peak WAR metric WAR7, Martinez ranks 11th all-time at third behind all HOFers with the exception of Adrian Beltre, who will go in on his first try once he’s eligible in five years and Scott Rolen who is in his second year of eligibility. Keeping with the 3B comparison, Martinez also ranks 11th all-time in career WAR, ahead of some old-timers who are in the Hall, such as Home Run Baker and Jimmy Collins. Martinez’s 68.4 WAR is exactly the average of the 14 3B whose plaques hang on the wall in Cooperstown. His peak WAR7 of 43.7 is 0.7 higher than the average of those 14, and his JAWS of 56 is 0.3 higher than the average of the current inductees. In OPS+, which measures on base plus slugging in relation to the rest of the league, Martinez would rank second among current HOFers at third, behind only Mike Schmidt, considered by Bill James and others as the greatest 3B of all time. 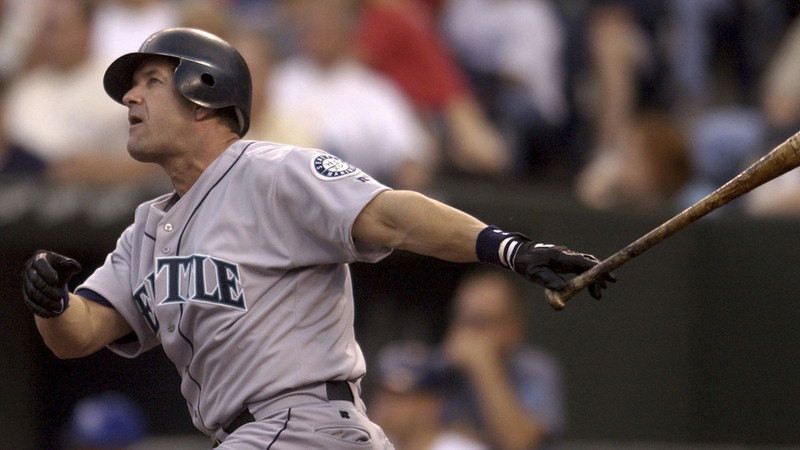 So, yes, Edgar Martinez belongs in the Hall of Fame. He should have gotten in 10 years ago, but the times and the manner of evaluation seem to have finally caught up with him and his remarkable career. With nearly 45 percent of the vote in, it appears Edgar will need to book a flight to upstate New York for the July 20 induction ceremony in Cooperstown.